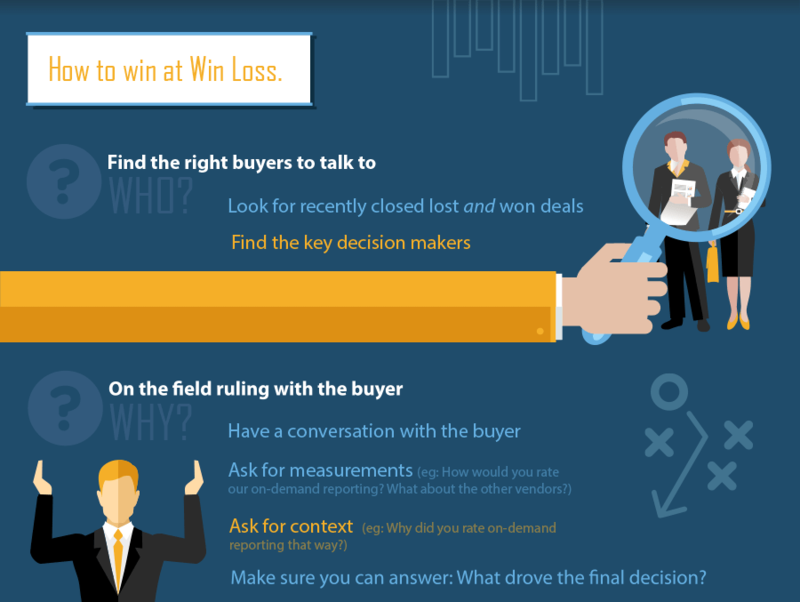 Companies who study their past deals have a 3 to 7 times higher win rate. 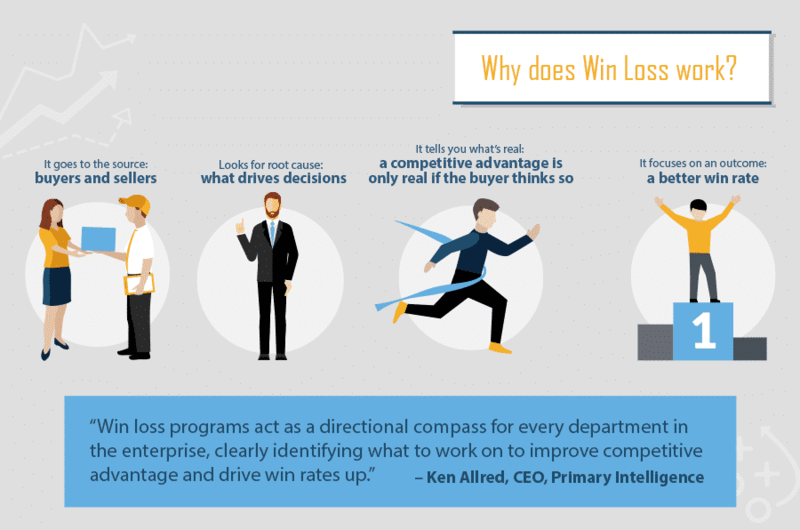 What exactly is Win Loss Analysis? Why does Win Loss Analysis work? Make sure you can answer: What drove the final decision? Where have companies turned around their results? 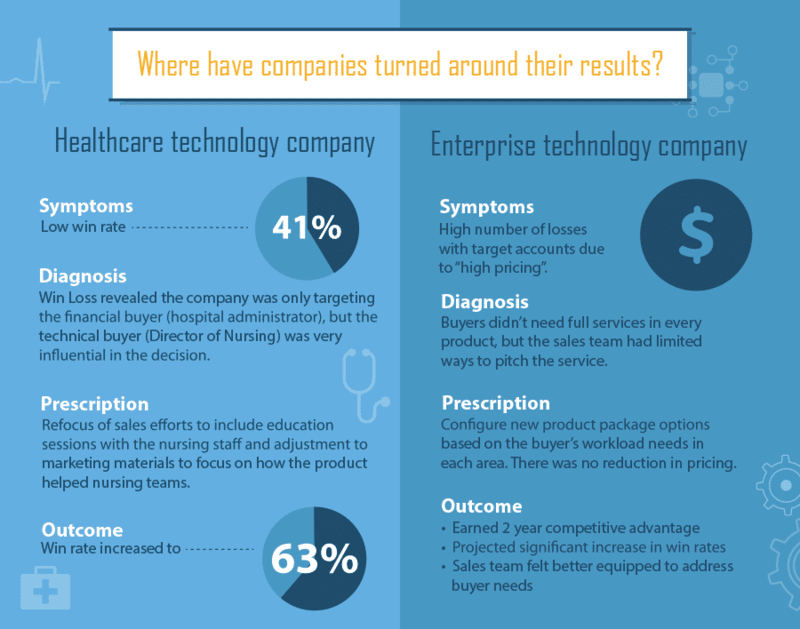 Diagnosis: Win loss revealed the company was only targeting the financial buyer (hospital administrator), but the technical buyer (director of nursing) was very influential in the decision. Prescription: Refocus of sales efforts to include education sessions with the nursing staff and adjustments to marketing materials to focus on how the product helped nursing teams. Outcome: Win rate increased to 63%. Symptoms: High number of losses with target accounts due to "high pricing." Prescription: configure new product package options based on the buyer's workload needs in each area. There was no reduction in pricing. Find out how Primary Intelligence can help you.